Peace, Love, and . . . Trademarks? Posted on July 30, 2015 by PSMN® | Comments Off on Peace, Love, and . . . Trademarks? Juice Generation operates a chain of juice bars in New York City. 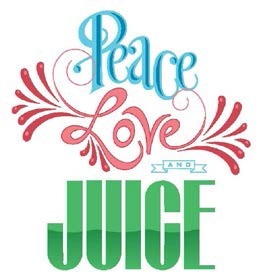 It attempted to register the mark “PEACE LOVE AND JUICE” with the USPTO in connection with juice bar services (disclaiming “juice”). GS Enterprises filed an opposition to Juice Generation’s application, arguing that the “PEACE LOVE AND JUICE” mark created a likelihood of confusion. The TTAB considered the 13 DuPont factors in analyzing the likelihood of confusion. It first found that Juice Generation had been using its mark for years without evidence of actual confusion, but it discounted this factor because it did not think that there had been “meaningful opportunities” for actual confusion to occur given the parties’ use of their marks. The Board next looked to the dominant feature of Juice Generation’s mark (PEACE LOVE) and found it was virtually identical to GS Enterprise’s “PEACE & LOVE” mark. The Board also looked to at least 26 examples of 3rd parties using similar combinations of Peace and Love in their marks–e.g., “PEACE LOVE AND PIZZA,” “PEACE LOVE YOGURT,” and “PEACE, LOVE & BEER,” but did not find that there was sufficient evidence to show that consumers recognized that other entities were using similar terms in their marks. On balancing this evidence, the TTAB concluded the there was a likelihood of confusion with consumers and sustained GS Enterprises’ opposition. The Federal Circuit was clearly troubled by the conclusions the TTAB reached. It first noted that likelihood of confusion is a legal conclusion that it reviews de novo, and that it is to be analyzed using the 13 DuPont factors. 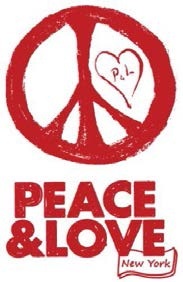 The Federal Circuit was concerned by the TTAB’s failure to place much weight in the numerous examples of other marks that used the words “PEACE” and “LOVE” together with other terms. The Court found these examples to be “powerful” evidence that GS Enterprises’ marks were not strong on their face. With so many similar marks, there was substantial prima facie evidence that GS Enterprises marks were not strong. As a result, the Federal Circuit remanded the case to the TTAB to conduct a more thorough analysis of the strength of GS Enterprises’ mark in light of these numerous similar marks. The Federal Circuit finally noted that the TTAB improperly considered just a portion of Juice Generation’s mark–the PEACE LOVE part–without considering whether the mark as a whole might convey a meaning distinct from GS Enterprises’ marks. As a result, the Federal Circuit also remanded for the TTAB to provide a more thorough analysis of the mark as a whole. Comments Off on Peace, Love, and . . . Trademarks?